This article is about the PAYDAY 2 weapon. For the same weapon in PAYDAY: The Heist, see M308. The M308 rifle is a primary weapon available in PAYDAY 2. It is a marksman rifle with long range accuracy and brutal damage at the cost of stability, concealment, and magazine size. The M308 is tied for the highest damage per shot of any rifle outside of the sniper rifles with the Cavity 9mm, the Little Friend 7.62 and the Galant Rifle, and can easily be modified to kill any non-special enemy with one head shot if you have the Perk Deck's tier 2 head shot bonus. However, this is offset by the extremely low total ammo capacity, forcing you to make every shot count. For an assault rifle it also has a small magazine, though this is somewhat mitigated by the fast reload time. Compared to sniper rifles, it cannot penetrate shields, and has less damage and accuracy than most. It's debatable whether or not you're better off with another assault rifle (such as the AK.762 or CAR-4) that has higher ammo capacity, particularly if you can consistently make head shots. The M308 defaults to semi-auto (single-fire) mode, but does have a full-auto setting as well. This gives the M308 the highest DPS of any of the assault rifles, which shreds special units and dozers if one aims for their face plate. This feature should be used sparingly however, as the M308 does not have the ammo pool to support extended magazine dumps. The M308's low base concealment of 8 cannot be increased past 12, making it a poor choice to bring when one needs to be stealthy. Its only available concealment-increasing modification, Abraham Body, is a poor choice as the M308's base concealment is too low to be worth improving. It's still an acceptable alternative if the player has yet to unlock the Jaeger Body, since it adds 8 points of stability. Due to its low total ammo, having the Fully Loaded skill, preferably Aced, helps greatly in combat as the 25% total ammo increase grants the M308 almost two extra magazines to use. Surefire basic can also be used to increase the M308's ammo per magazine to 25, giving it much more staying power. If one can make every bullet count, they may find themselves reloading either infrequently or only when out of danger. Aggressive Reload, aced or not, can further help mitigate problems resulting from its initially small magazine. Lock N' Load basic can actually be quite effective on a properly modded M308. Utilizing mods to enhance its stability in tandem with this skill can make the M308 a very effective weapon for run-and-gun tactics. An accurate user can get rapid headshots from hip firing while moving, especially if aided by a laser. Like rifles such as the AK and AK.762, sights are forward mounted onto the hand-guard. Consider this when choosing which optic to mount, since the sight will be relatively far away from the player's view. Fitting the Scope Mount introduced with the Butcher's Mod Pack 2 can alleviate this problem. The M308 should almost entirely be used as a skilled marksman rifle. On Overkill Difficulty and below, the M308 is a truly terrifying weapon, being able to kill Shields, Snipers, any normal enemy except the FBI MFR with one body shot and killing FBI MFRs, Tasers, and Cloakers with one head shot. Killing Green and Black Bulldozers can be done with as little as four shots: one to break the outer face-shield, one to break the inner faceplate, and two to the face. This is quite difficult however and will require a very skilled user. With The Bigger The Better Suppressor and aced Fast And Furious, the M308 does about 151 damage. With an aced Surefire skill, one can kill FBI MFRs with one body shot on Overkill and below. With bonuses from perks such as High Value Target and Underdog's attack bonus, this can cause it to consistently kill Tasers and Cloakers in a single headshot on Death Wish difficulty - enabling it to be just as terrifying at the highest level. Due to its high recoil and low ammo count, fully automatic fire should rarely be used. Modifying it with Single Fire will increase accuracy, for those looking to specialize in sniping. Fully automatic fire is more effective in few cases, such as the elimination of Bulldozers at close range. Fully automatic fire can deliver an extremely high amount of damage during the effects of Bullet Storm or Swan Song, as the player can combine high damage per bullet with a high rate of fire, and not have to reload. A fully automatic M308 can work against its user, as a Taser can electrocute a player and quickly empty the weapon's low ammunition in its magazine and in turn, provide no way to fight the Taser. As the M308 is very powerful and accurate by default, the main focus of any build is to improve on its horrible Stability. That being said, unless the player actively uses the M308 in fully-automatic, the low Stability wouldn't cause much of a problem. Concealment is not a major concern as it is abysmal to begin with and cannot be effectively enhanced. Silencing the M308 is inconsequential given its high Damage per shot, thus allowing for certain "stealth" builds. Note: The Auto Fire mod is not recommended as it locks the M308 into a permanent full-auto mode that makes recoil management even more of a hassle, despite its Stability increase. Without the bonuses from perks and skills, the above build offers a Damage readout of 162, an Accuracy value of 96 and 72 Stability. Concealment is very low (0-3). With certain perks and skills, the stability and accuracy of the M308 can be brought up to or very near 100. Positions mounted sights closer to the player for more accurate aiming. The 45 degree red-dot sight has the word "Theia" engraved onto its lens frame. 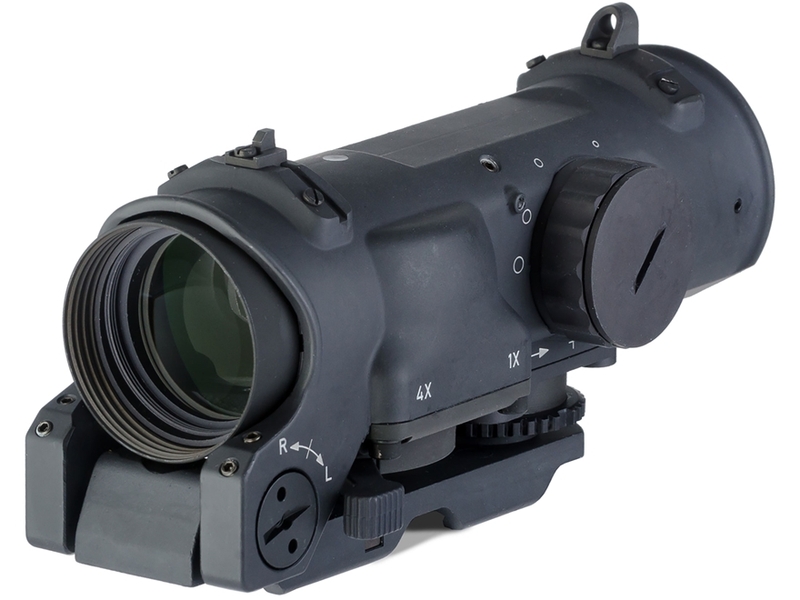 The Riktpunkt 45 degree Sight is based on the Aimpoint Micro T-2 attached to a canted mount. It is based on the SAGE EBR chassis of the Mk 14. The Jaeger Body is loosely based on the JAE-100 G3 body series, notably possessing the JAE-100's forend. However, none of the JAE-100 stocks come in the Jaeger Body's color, nor have built-in thumbhole stocks, while the Jaeger Body lacks the JAE-100's cheekpiece, and the capability to install one. Ausome is a pun on "awesome" and "Au", the symbol for gold on the periodic table. The Floral Thrust skin (M308 Rifle | Floral Thrust [✓]) is the black and white version of the first skin its creator made. The Demon and Plush Phoenix's descriptions apparently come from a book named "The Fire and The Thief". While the Demon's quote sources "Jeremy Logan", the Plush Phoenix's quote sources "Jezebel Taimalie". The M308 is based on the Springfield Armory M1A SOCOM 16 with a McMillan M2A stock. When fitted with an Abraham Body it gains the look of a Mk. 14 EBR, though one with an unusually short barrel and gas tube. Its name might be a reference to the .308 Winchester rifle round which is the parent case of, and commercial alternative to, the 7.62x51mm NATO rounds used with military M14s. Alternatively, this could have been based on a fully-automatic converted Norinco M305, an unlicensed Chinese copy of the M14. After the advent of Update #65, the M308's full reload animation uses the weapon's bolt release, though the way the player character does it (slapping the weapon with their entire open palm) does not seem at all plausible, as the bolt releases of several M14 derivatives are very small and are located in rather flush grooves, thus will necessitate the use of a finger to disengage. It is the only selective fire weapon to start in semi-automatic by default. This is due to the fact that it was capable of semi-automatic fire only prior to the Gage Weapon Pack #01 update. It could also be a reference to the fact that most, if not all, M14 derivatives in existence are operated as such in reality due to them being designated marksman/battle rifles. Because of this, the military-issued M14s are often set to firing single shots by default to either minimize the effects of the excessive recoil from firing the high-powered 7.62x51mm rounds, or to effectively snipe. The M308 makes an appearance in the Armored Transport DLC Trailer, with the Abraham Body and Milspec Sight. The M308 is depicted in the icon of three skills: Stable Shot, Rifleman and Marksman. A preview of the M308. Houston wielding a highly modified M308 in the Payday 2 trailer.